You won’t see much in the way of waves along the Mississippi Gulf Coast. In fact, the only place you can really catch one is off the barrier islands. But you will be hard pressed to find someone to take you the fifteen-mile boat ride out there in the kind of weather that brings waves. As a result, most Mississippi surfers turn to Dauphin Island, off the coast of Alabama, which is about an hour drive from my home in Ocean Springs. Wherever we have to go to catch a wave, Mississippi surfers get stoked when the tide calls. Wherever we have to go to catch a wave, Mississippi surfers get stoked when the tide calls. It’s the early spring along the coast and on this day, the weather is volatile. There is a front coming to cool down the warming air. Up north, they are predicting snow and ice. Through most of the central and southern parts of the country, it’s rain, maybe some severe thunderstorms. Among my friends on the Mississippi Gulf Coast something else in in the air. Phones ping with text messages. Weather cams are being surveyed. The app that watches buoy reports and weather patterns, Magic Seaweed, is being monitored. Suspense is building. Is this storm going to bring a swell? Meaning, can we go surfing? Romy Jacobs, Charlie Batten, and Jessie Zenor talk about surfing Dauphin Island and their favorite seasons to catch a wave. (Speakers are listed in their order of appearance in the audio). DATE: Recorded by Jessie Zenor in 2017. Charlie paddling to catch a wave. The wind builds up waves, pushing them to the shore, and then turns to push them tall and clean: ride-able. Most of the time, especially in the summer, the Gulf of Mexico is pretty calm. But every once in awhile, the weather is just right. The wind builds up waves, pushing them to the shore, and then turns to push them tall and clean: ride-able. When this happens, the flurry of texts and phone calls to friends reaches a fever pitch. “You've really got to schedule work around it,” says Charlie Batten, who has been surfing since he was fifteen but didn’t get serious until he was twenty-four, when he became his own boss and could drop everything to chase a wave. We load up the boards and hit the road. The ride continues with more anxious and excited phone calls. When we make it to the Dauphin Island, a bit of scouting is needed. It is time to check the breaks—the locations where favorable waves are usually found. Since the bottom of the Gulf is made of sand, breaks migrate over time. There are several of them on the island, and unique weather makes different locations better for the day. When you catch a wave, there is a flow state you enter where there is nothing else that exists outside of that moment, And once that moment is over, you just want to have another moment just like it! Jessie Zenor is co-owner of the Greenhouse on Porter, a coffee, biscuits, and beer shop in Ocean Springs, Mississippi. Originally from Auburn, Alabama, she moved to Mississippi after earning her degree in architecture and a year after Hurricane Katrina. 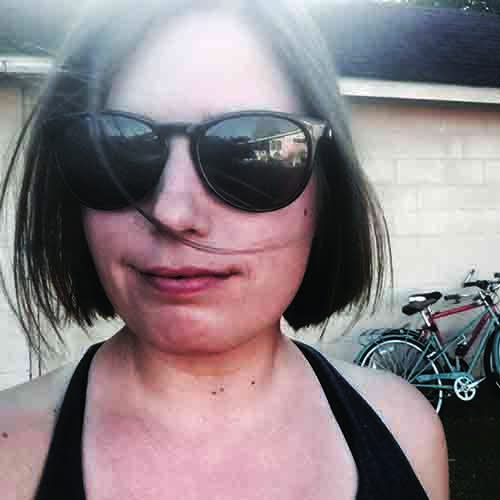 For seven years, Jessie worked at MSU’s Gulf Coast Community Design Studio, designing low-income housing in response to the storm. While working at MSU, she picked up a few shifts at Sweet’s Lounge. Jessie is an award-winning paddle-boarder and a beginner surfer.